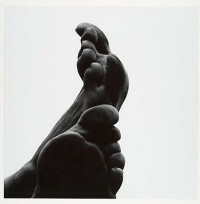 Aaron Siskind was born on December 4, 1903, in New York City. He received a Bachelor of Social Science degree from College of the City of New York in 1926 and went on to teach high school English in the New York public school system for 21 years. 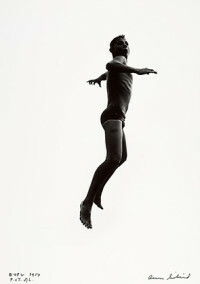 He took interest in photography after receiving a camera as a wedding present. 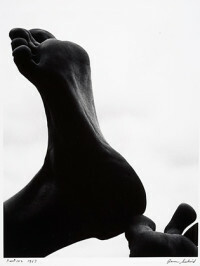 His career in photography began as a documentarian in the New York Photo League in 1932. He oversaw the League’s projects that were designed to document neighborhood life during the Great Depression, 1936-40. 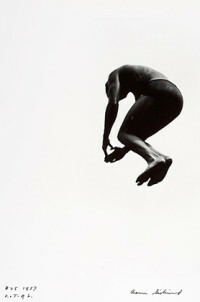 After the late 1930s, he stopped photographing people entirely and focused on architectural photography. At this point, his photography began to reflect ideas and styles of Abstract Expressionism, emphasizing a modernist concern with the flatness of picture plane. 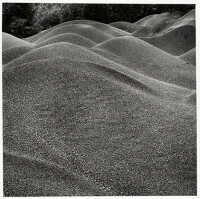 In 1950, he met Harry Callahan who convinced him to become a professor of photography at the Institute of Design of the Illinois Institute of Technology in 1951. 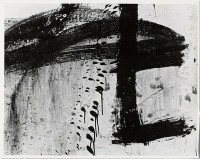 He taught there until 1971, then moving on to teach at the Rhode Island School of Design until his retirement in 1976. 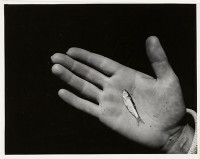 Siskind died in Providence, Rhode Island in 1991.